Around this time of year the hustle and bustle picks up from its summer hiatus. We get back to busy schedules and time becomes a precious commodity again. That doesn’t mean we can’t have homemade food. One trick for keeping meals quick, easy, and healthy that I’ve used for years, is making a big old pot of rice and stashing it in the fridge. I love this time-saving trick because I can grab a cup of it and make a quick stir-fry, add it to soup, or just have it as a side to grilled chicken. I prefer brown rice for the simple fact that it carries more nutrition than its bleached and overly processed cousin, white rice. 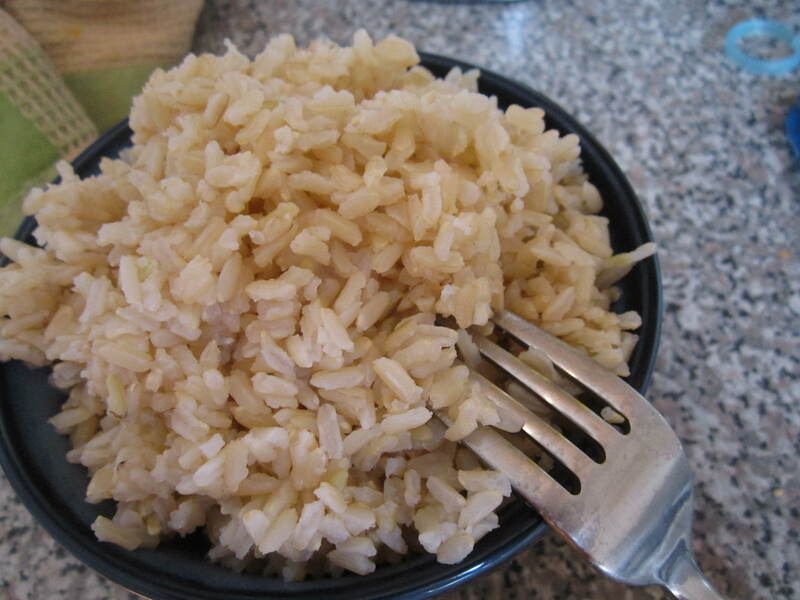 In one cup of brown rice you get 3.5 grams of fiber which is about 14% of your daily recommended fiber intake. So yeah, I prefer it over white. I know many have a huge issue in making the jump from white to brown, but if my mom (a traditional old-school Dominican mother) can make the switch a few times a week, so can you. So let’s make some brown rice. You’ll need a pot. Most Latinos have what we call “Calderos” at home. These are heavy-set steel pots. They are great for making rice in and making the famous “Con con” or “Pegao” that sticks to the bottom of the pot (crunchy rice that is fought over in our households and tastes divine). The good thing is that to make rice you really just need any kind of pot with the only requirement being it have a tight-fitting lid. You need this lid to help steam your rice slowly. Add cold water, chicken or veggie broth. 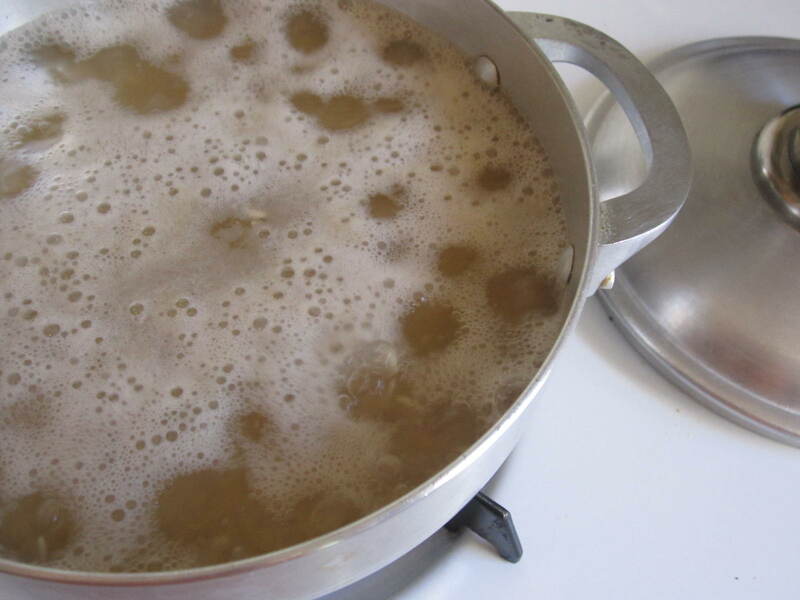 The flavored broths will add more flavor, but try to use low-sodium versions. If you’re using water, now is the time to add salt. If you’re a bit nervous about how much to add, start small and taste. Your water should taste slightly salty, but not bitterly salt. Turn the heat on to medium high to bring the rice and water to a boil. Some of you crunched for time might be tempted to crank up the heat all the way to make it boil faster but hold back. 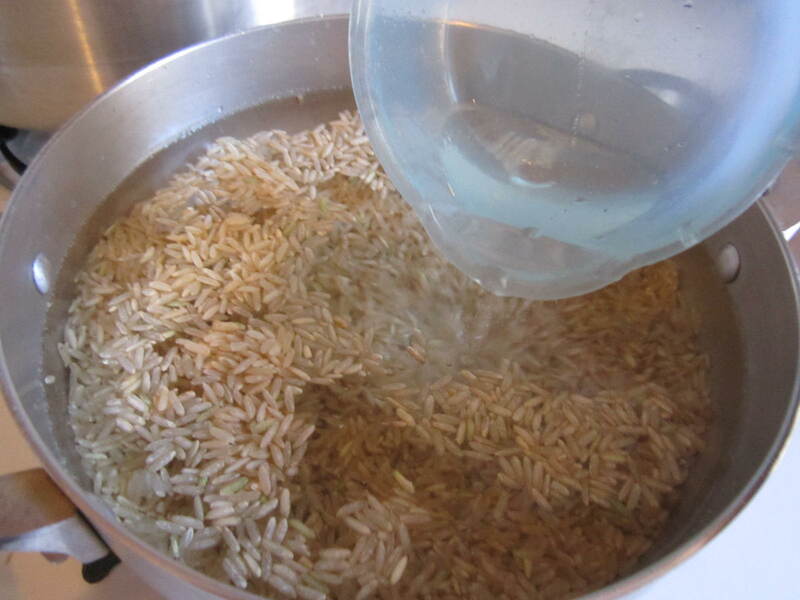 You want the water to come to a boil gradually so the rice heats up evenly. Once the rice comes to a boil, cover it. With the rice now covered, turn down the heat to low. So ok I know the word “low” is pretty vague. 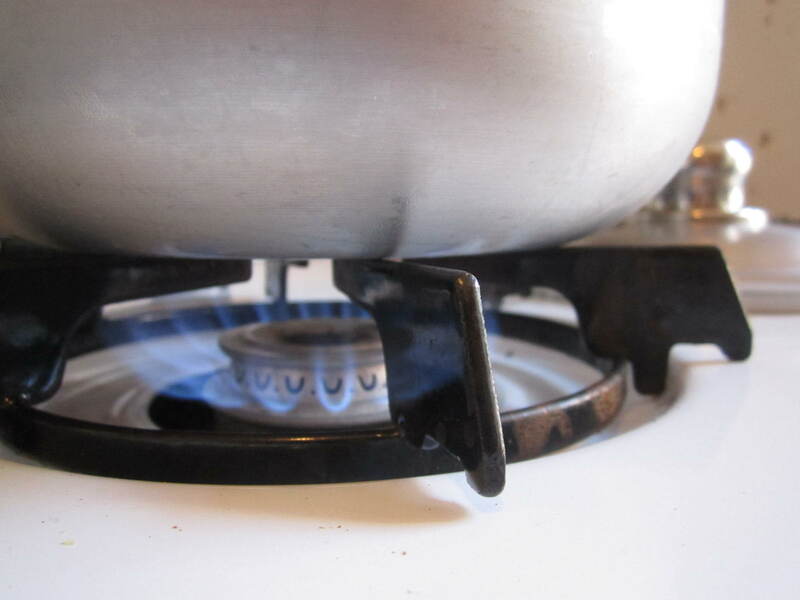 But notice how the low heat here is barely touching the pot…that’s the kind of low I mean. Now let it steam for about 35-40 mins. I suggest you set an alarm so you know when to go check the rice. It’s been about 20 minutes or so and the alarm has not sounded off but you wonder, “man, maybe I should check on the rice and make sure it’s really cooking. I mean last time I made something I forgot to check and I almost burned down the kitchen, so I should probably check now”, before the 40 minutes. WRONG WRONG WRONG!!! Calm your nerves. Go surf Facebook, Instagram, or better yet pick up the phone and call a friend! See, what happens if you keep checking your rice before it’s time, you let that cooking steam escape and you either end up with under cooked rice or rice that takes an eon to cook. So beeeee patient! Time’s up! 40 minutes of surfing Facebook, Instagram, and chatting on the phone is up. 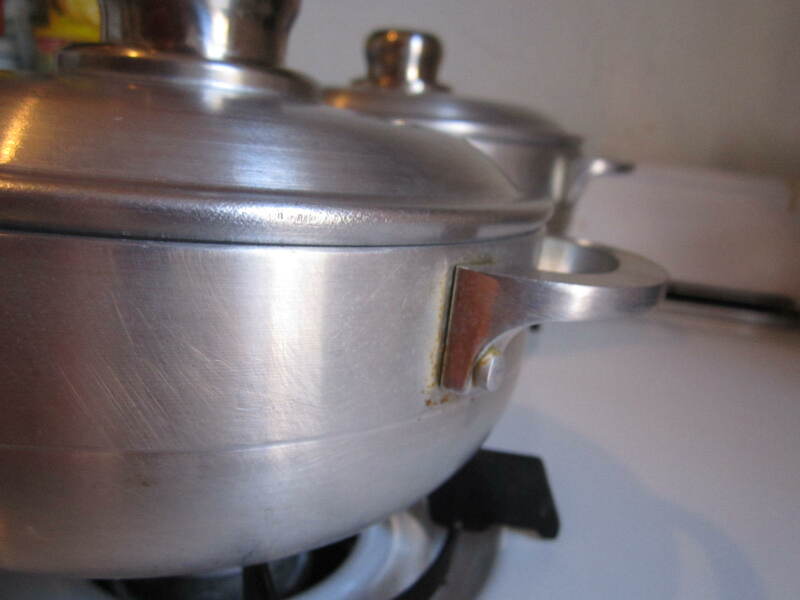 Go uncover that pot, and whoa look at that, fully cooked unburned rice! At this point stir your rice and fluff it up. I love my rice on the grainy side. I like to see the individual grains. 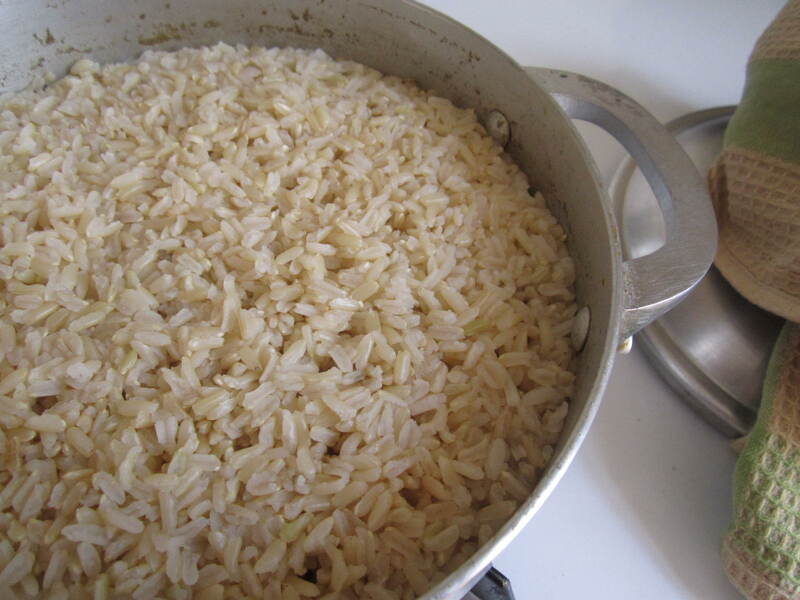 But if you like your rice a bit more sticky, then you can use more water. And if you like your rice with more of a grainy bite than what I have, add a smidge less water. This rice was cooked with a 1:2 ratio of rice to water. For every cup of rice I added 2 cups of water. Sooo you want stickier rice, use 2 and 1/8 cups of water for every cup of rice. 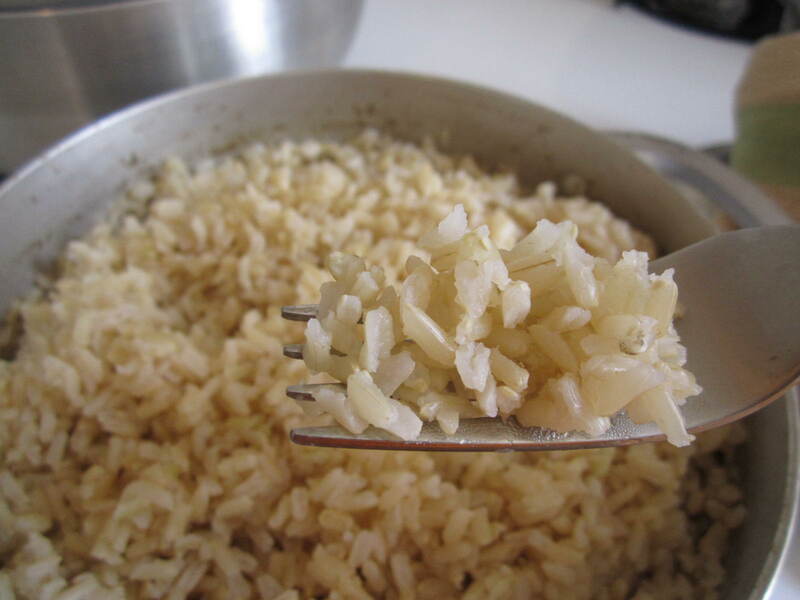 You want more of a grainy bite, use 1 and 3/4 cups of water for every cup of rice. 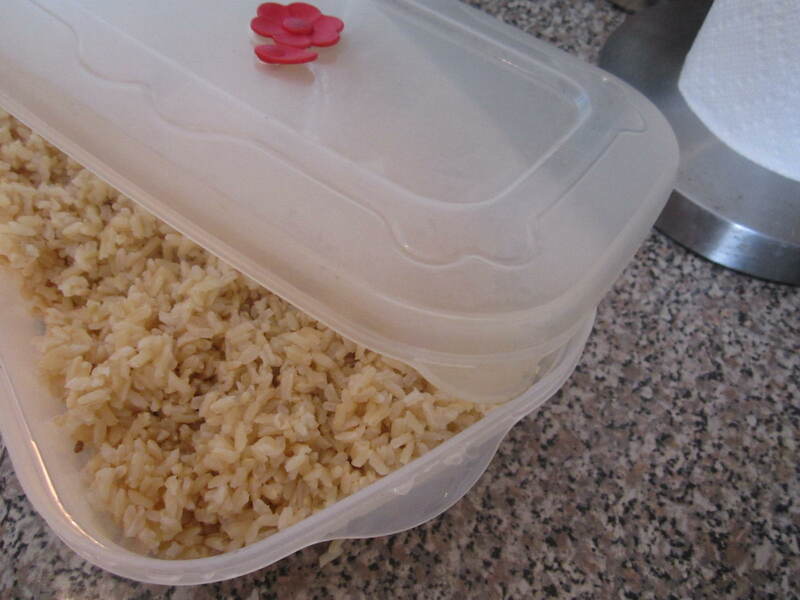 I stash this rice in Tupperware and use it through out the week. Some of you may be thinking whoa 40 minutes? that’s a long time. 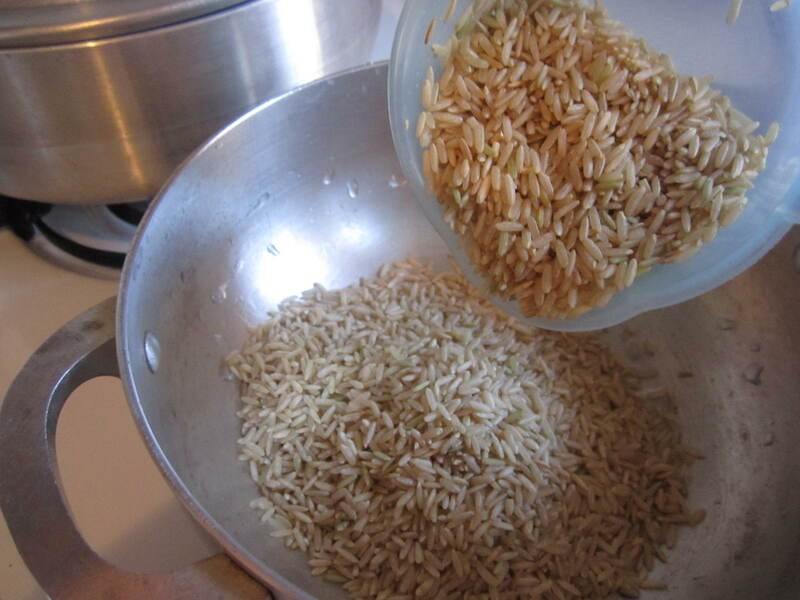 Since brown rice is less processed than white rice, it takes longer to cook. A longer cooking time gives me the simple incentive to make a big batch and then store it away. You can even freeze individual portions in the freezer. Just lower it to the fridge the night before to defrost, and it should be thawed and ready to reheat by the time you come home. 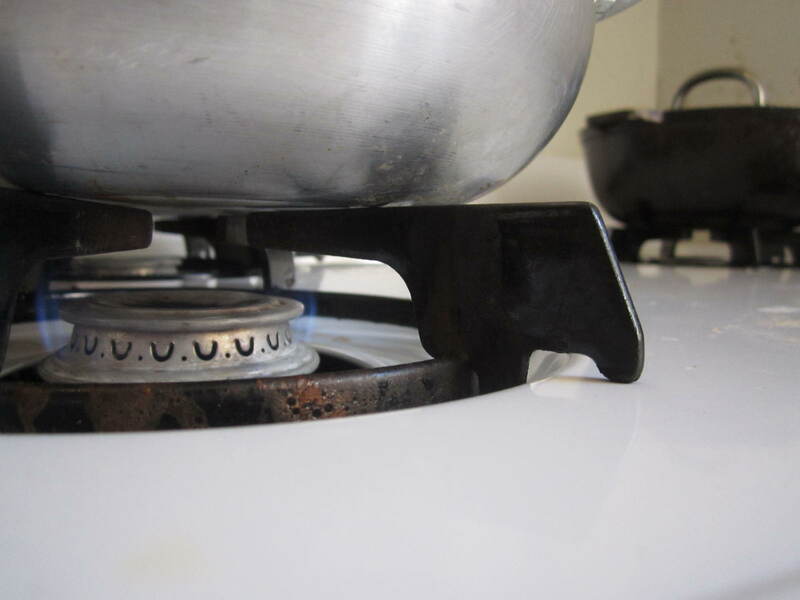 Grab your pot with a tight-fitting lid. Add the rice, water, and salt. Give it a stir and taste the water. It should be slightly salty, but not bitterly salty. Turn on the heat to medium high and bring the rice to a boil uncovered. Once the rice has come to a boil, cover it, and lower the heat to low. Set a timer to ring in 35-40 minutes. 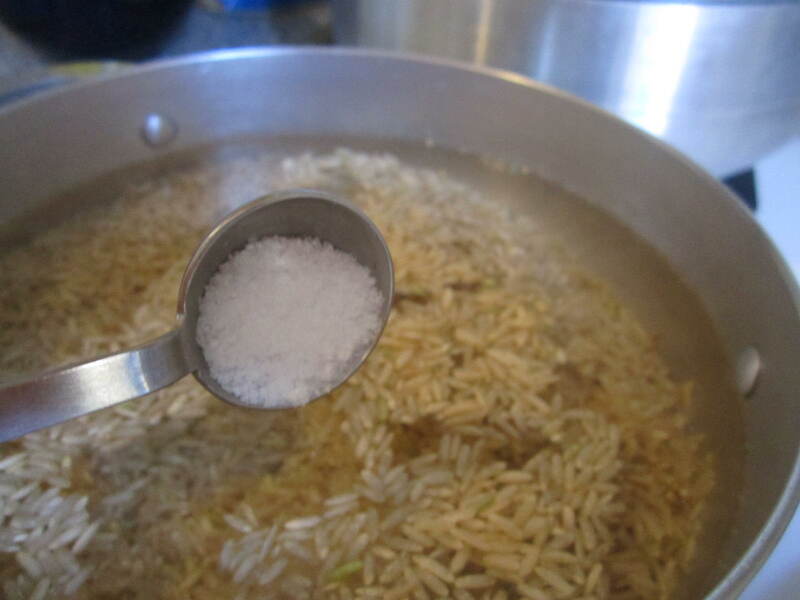 Once the alarm goes off, uncover the rice and give it a stir to fluff up the rice and make sure it’s fully cooked. If the rice is fully cooked, turn off the stove. Presto, you now have healthy brown fluffy rice. Bon Appetit!